Registration is now closed for SUPBALL 2018 / 2019 - aside from joining already registered teams. We hope you will join us for next season! ​The Monday afternoon SUPBALL League is NEW this year! Due to popular demand for another weeknight option we have opened a 4th Competition! We think that Monday comp will be THE best way to blast away those Monday blues. As with Wednesday, games are scheduled at 6:00pm and 6:45pm to suit busy 9-5ers. Competition schedule will be commencing on 5th November (weather permitting) and will run for 10 weeks followed by semi final and grand final. There will be a 2 week break for the December Christmas Holidays. ​The Wednesday afternoon SUPBALL League is a great comp with a mix of beginners and more experienced teams. This is a high energy competition perfect for those seeking some SUPBALL after work. Games are scheduled at 6:00pm and 6:45pm to suit busy 9-5ers. Competition schedule will be commencing on 7th November (weather permitting) and will run for 10 weeks followed by semi final and grand final. There will be a 2 week break for the December Christmas Holidays. ​The Saturday morning competition is similar to the Wednesday and is for a mix of beginners and more experienced teams. Our Saturday comp is a friendly competition perfect for those seeking some Saturday morning laughs! Games are scheduled at 9:00am and 9:45am. Competition schedule will be commencing on 10th November (weather permitting) and will run for 10 weeks followed by semi final and grand final. There will be a 2 week break for the December Christmas Holidays. Sundays are where it all started! 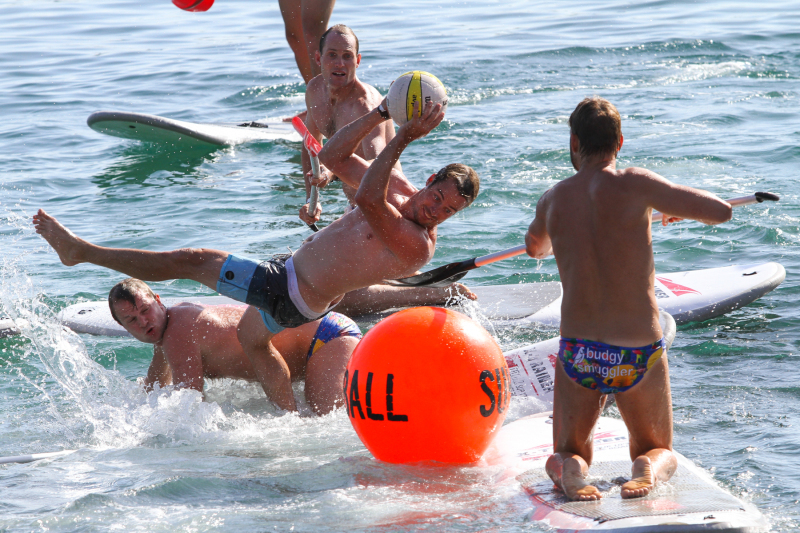 There is nothing better than ending the weekend with your mates playing a fun and competative game of SUPBALL. 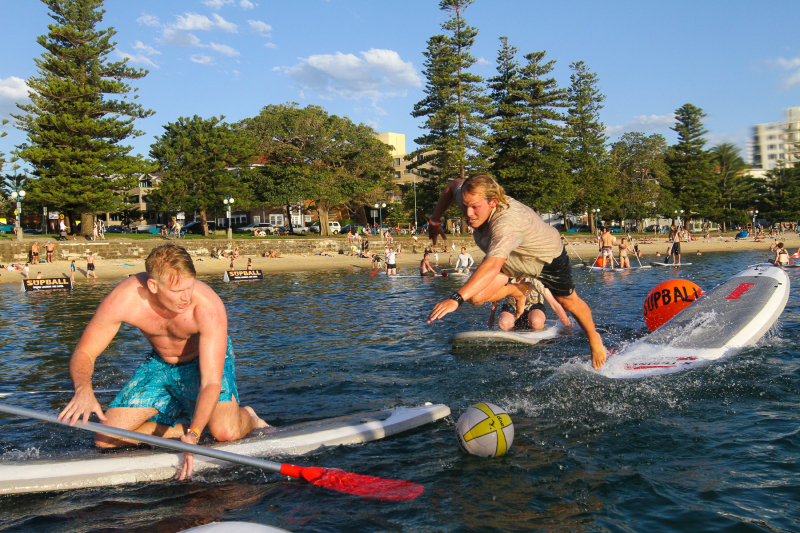 Choose Sunday for the best atmosphere with a great crowd of spectators from neighbouring Manly Wharf Hotel. Competition schedule will be commencing on 11th November (weather permitting) and will run for 10 weeks followed by semi final and grand final. There will be a 2 week break for the December Christmas Holidays.